The chancellor has ignored repeated calls for the government to take urgent steps to ease the social care funding crisis and other impacts of austerity on disabled people, as he delivered his spring statement. Hammond’s statement yesterday (Wednesday) was overshadowed by the continuing parliamentary Brexit fiasco, which led to the resignation of disabled people’s minister Sarah Newton. Hammond made no mention of disabled people in his speech, and his only mention of social care was to say that future spending would be addressed in the budget, which is not expected until October or November. 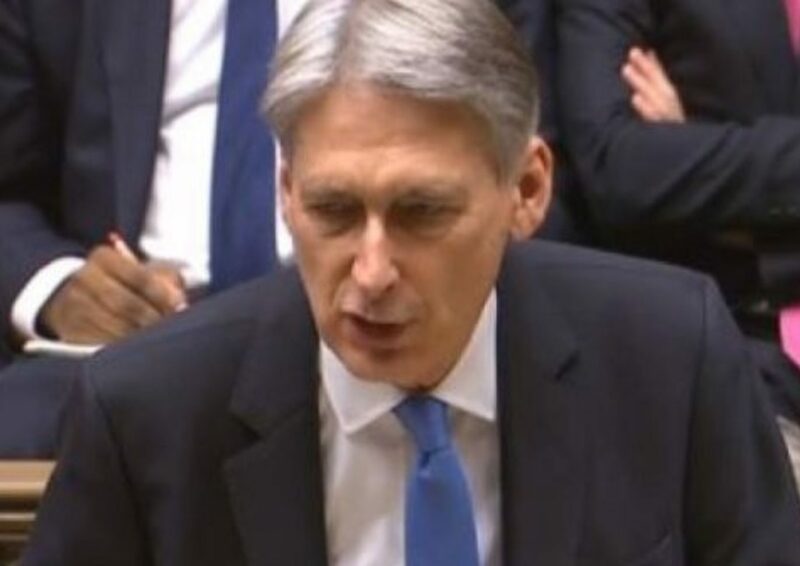 Although the spring statement was low-key, Hammond still made a series of announcements across areas such as science and technology, immigration, knife crime, the digital advertising market, affordable homes, Brexit, apprenticeships, period poverty in schools, late payments to small businesses, the minimum wage, biodiversity and climate change. In his response to the statement, the shadow chancellor, Labour’s John McDonnell, told Hammond that he was “implicated in every cut, every closure, and every preventable death of someone waiting for hospital treatment or social care”. In November 2017, the British Medical Journal (BMJ) published research which linked government cuts in adult social care and health spending to nearly 120,000 “excess” deaths in England since 2010. The research warned that the cuts could continue to be responsible for an additional death toll of up to 100 deaths a day if significant extra funding was not found. One prominent disabled activist, Mary-Ellen, had a leading role in a short film released on the day of the spring statement by the Labour party, and she referred to the BMJ research. She said: “Councils across the country are forcing disabled people to use nappies instead of giving us the support to go to the toilet when we need it. Professor Peter Beresford, co-chair of Shaping Our Lives, said the spring statement “seems like an irrelevance” while the government “ties itself in knots trying to save itself” over Brexit. He said: “Social care is one of the policies that is most about ensuring the quality of people’s lives, especially people who need some help. “This government’s priorities and preoccupation with self-preservation bear no relation to ordinary people’s lives, concerns and growing fears and uncertainty. Philip Connolly, policy manager for Disability Rights UK, said the failure to mention disabled people in the spring statement should be “a wake up call to the disability sector”. He questioned why disability organisations have failed to lobby the Treasury directly when all individual government departments had to do so, and when “the Treasury’s own website permits direct dialogue”. Connolly called for a sector-wide campaign for an inclusive economy, focused upon the next spending review. Hammond said in his spring statement that he would launch a three-year spending review before the summer recess, with the results to be announced alongside this autumn’s budget.